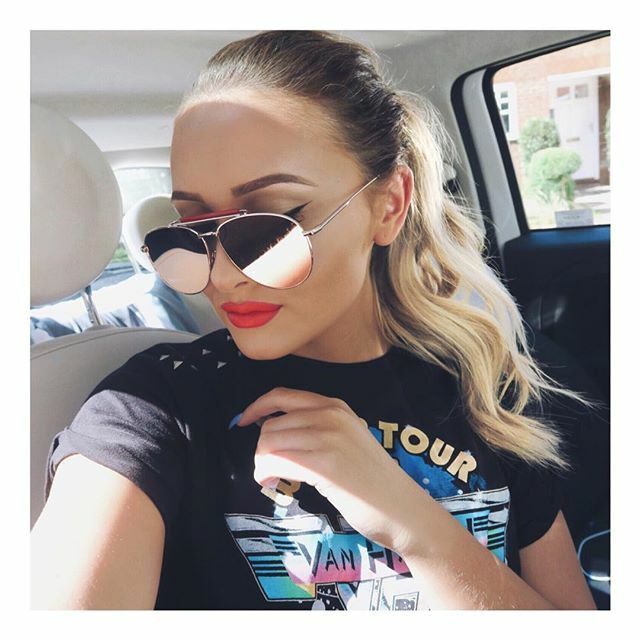 uk blogger – Beauty and the Brunette. Picture you leaving the hair salon with a beautiful newly fresh shiny hair colour and you feel amazing, but unfortantly when not looking after your hair it turns all dull faded and you feel awful. I am here to help you! Here are a few tips to help you maintain your hair colour! Good colour starts with healthy hair. HYDRATE!! W hile bleaching your hair isn’t the best way to start, it is necessary to do in order to achieve a lighter or bright colour. Unhealthy, damaged hair will not hold colour well and being dry it loses its colour quickly. You may make it from black hair to blue in a week by bleaching your hair twice a day but that blue won’t hold because your hair is in awful condition. Be patient with your journey from dark hair to light hair. Make sure to nurture your hair. Hair masks and repair products are your best friends! After healthy hair, the next most important thing is a very good hair colour product. I highly recommend going to a salon to get your hair done as we know what we are doing. . Since salon brands are gentle on your hair, it’s totally fine, and really highly recommended as they know when enough is enough with your hair. This is actually a best tip if you have a funky colour in your hair. If you skip all other tips (please don’t, especially healthy hair!) this is the one to follow. Warm water opens the hair cuticle allowing colour to escape. I’m not saying you need to wash your hair with ice cold water, but in reality, the colder the better. Just use cold water for your hair and crank the heat up when doing your body. While we’re on the subject of water, it should be noted that swimming in chlorinated water is awful for your hair colour. For good measures, just keep your hair dry as much as possible or smother your hair in conditioner before going in. Use the right shampoo & conditioner! The main step to long lasting colour is to use a colour save/protecting shampoo and conditioner. Depending on your colour you may need toning (e.g. for blondes that tend to go brassy, a purple shampoo is needed!) Stay away from a clarifying shampoo this stripes and gets rid of the colouring in your hair (i.e head and shoulders). Sulfates and alcohol based products are another two huuuge things that will fade any hair color. Sulfate free shampoos can be kind of tricky to find sometimes, but they’re definitely worth switching to. Even with sulfate free shampoo, you should still try to cut back on shampoo use. Shampoo strips your hair of it’s natural oils, as well as the colour. If you’re lucky enough to not have super greasy hair skip washing every other day and use a dry shampoo on your off days. My dry shampoo of choice is Wella “Dry Me” It’s a little bit more expensive than others I’ve found and tried but easily the best! If you must heat style (hey, I feel ya! ), use a protectant! This Wella one is my personal favourite, I’ve been using it for a while now. Just like your skin, the sun isn’t necessarily good for your hair colour. The sun rays will bleach your hair which makes your colour fade. Try wearing a hat if you’ll be spending a long time in the sun. Highly recommended applying conditioner to your hair or even a leave in spray! 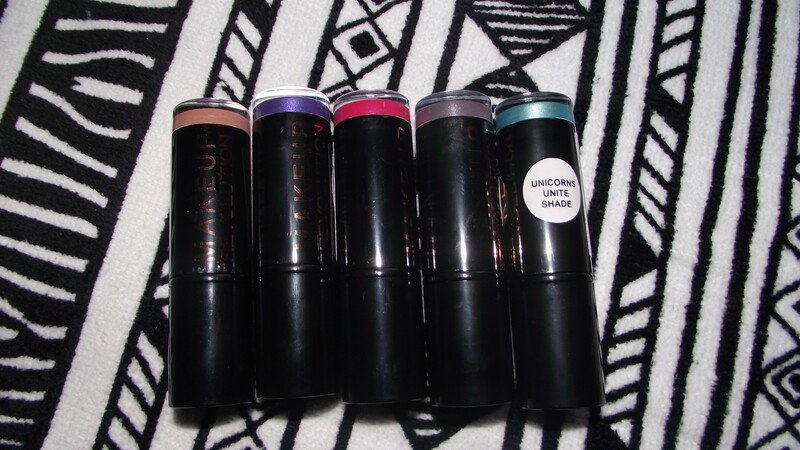 Makeup Revolution Unicorn Unite Lipsticks! Makeup Revolution Unicorns Unite Lipstick Collection – This is one of Makeup Revolutions latest launchs. Everyone loves something a little more edgy and fun! And this is 100% a fun one! They are for sure that statement lippie!